Daddy, if we dial 911 will he come and take our Fido to the hospital? Daddy, if our dog has an accident on the carpet, will K-911 come and clean it up for us? 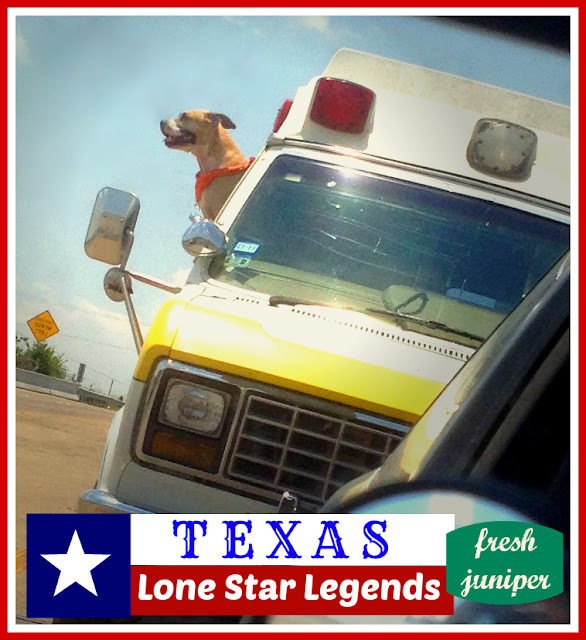 I saw the canine and his owner in my rear-view mirror and could hardly believe it myself. Know what makes seem even funnier? The location where the photo was snapped. You'll probably won't believe me, but I shot it at a four-way stop sign....right in front of the hospital. Do you see funny sights along the road where you live? You never know what you might see along a road in Texas.